I have a scrapbook that my Mom and I made together when I was 12 years old. I saw it at the top of my closet today and thought I'd reminisce a little bit. I was turning the pages one and a time and then...BAM. There was a Halloween page I had forgotten ALL about. 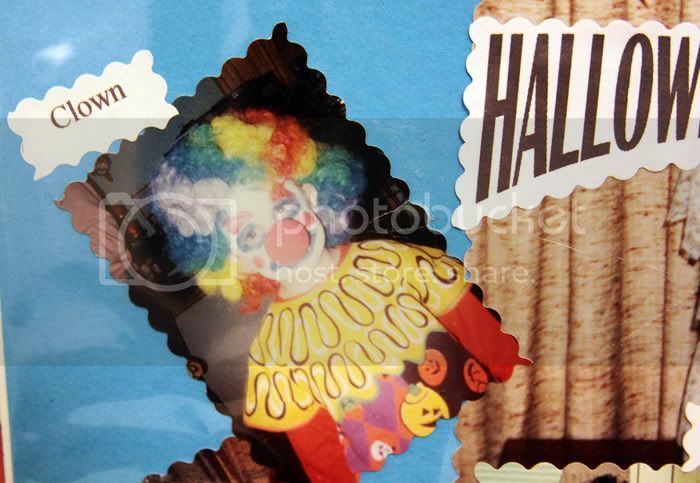 What better way than to celebrate Halloween than by showing you the crazy costumes I had? Need a closer look? :) I apologize for the horrible quality in photos. 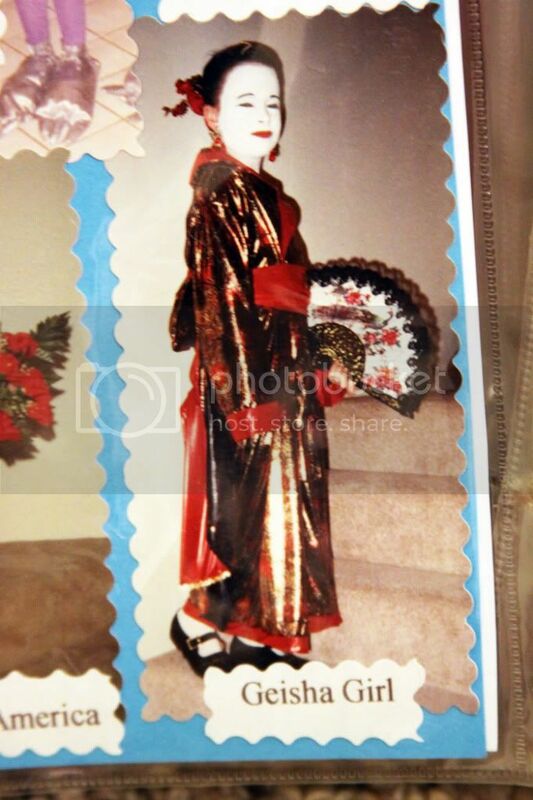 And one that will probably make you pee your pants...A Geisha Girl. Oh yes. My Mom made every single one of my costumes by hand I kid you not. Creative little mama isn't she? Gotta love it. I already feel sorry for my children...Muahahahahaw. Have a safe & Happy Halloween y'all! 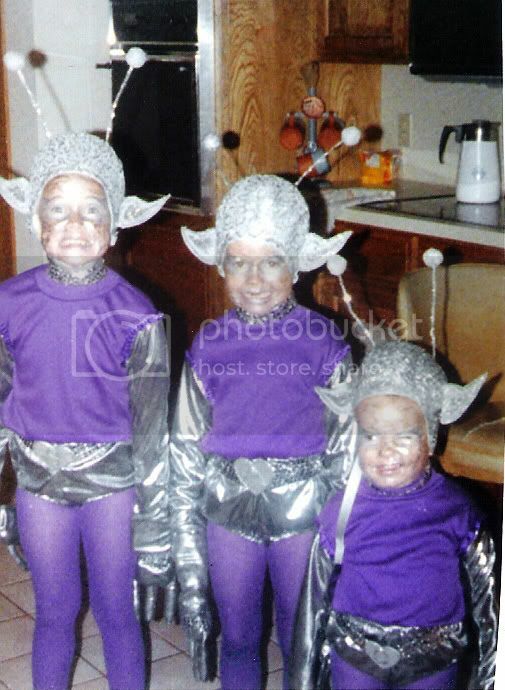 I miss when my mom made my costumes, she did it for all four of us -- I will never be crative enough to do it for my own kids! 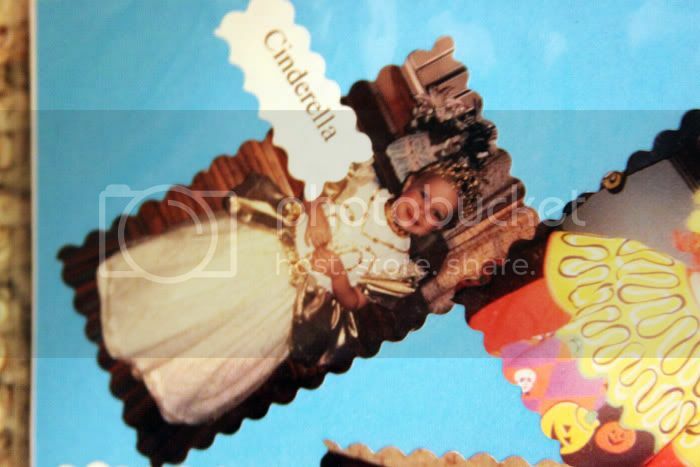 Your geisha is hysterical and you were a gorgeous mini bride, so cute!! Oh WOW! Your mom rocks! That Geisha Girl costume is amazing, but I have to say I think the purple alien is my favorite. That picture literally made me laugh out loud. All of y'all have awesome facial expressions in that one. Also, I just realized I think this is the first time I have ever commented on your blog (I've just been a creeper since I started following you I guess...). So I think that means not only are your mom's costumes amazing, they are magical too. They make blog readers become blog commenters!! :) Happy Halloween!! Holy cow, your Mom is awesome!! I never got that dressed up! Haha I love the Bride and the DCC!!! your mom is amaze! Those costumes are so creative and cute. Not to mention, you totally rocked all of them. props to both of you ;) so cute!! happy halloween! Oh my goodness, how fun was that!!! 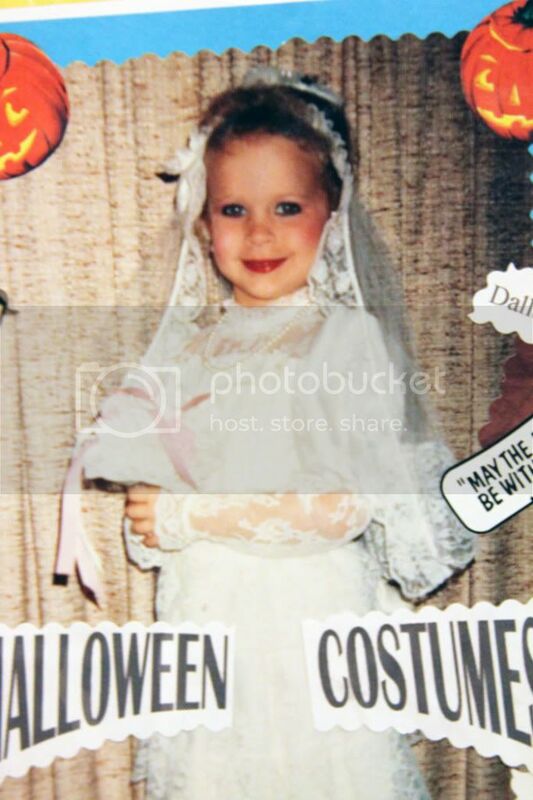 I love how into Halloween your mother was when you were little! My mother kept a scrapbook of all our years growing up until we headed off to college and it is so fun to look back on all the pictures! 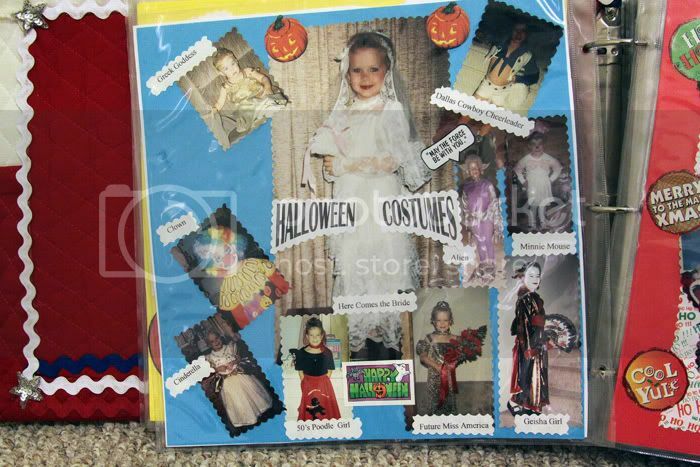 Love that your mother put it all together in this fun scrapbook for you...what great memories! Very creative! 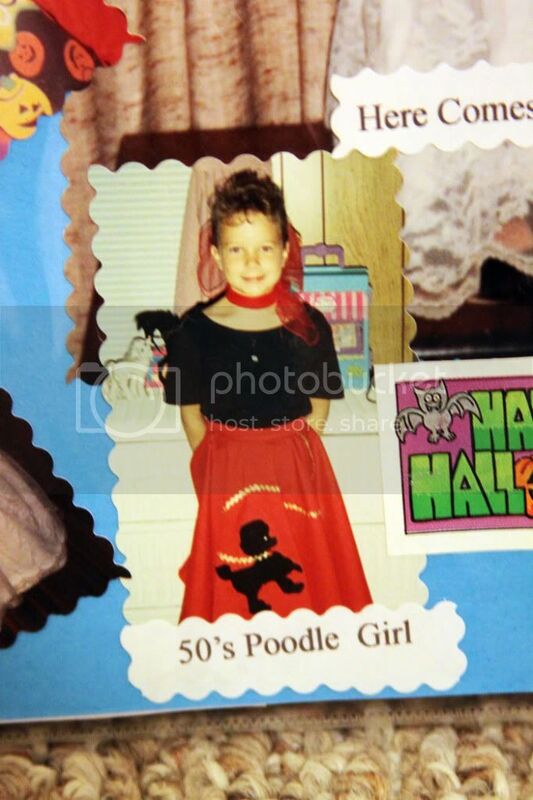 So cute that she loved dressing you up so much! Gotta love a grandma that is creative. Your kids will be so lucky! P.S. I just read your guest post over at Mackey Madness and I cannot tell you how amazing that was! Your hubby is so full of love for you and I can see why...you are both adorable together, but I also have to say that your positive energy and the genuine kindness that pours through you is something that makes you all that more wonderful! heehee I love this!! Halloween is great fun at any age!! The bride KILLS me!! So funny!! And the Miss America-holy beautifulness!!! Girlfran you look GORGEOUS!! Oh-how could I forget about the aliens. One one, two letters...HA! I looooove the Ms America and the Aliens-- insane! What were you this year???? ugh...i can not pick a favorite. seriously. i love them all. but i think the Bride is at the top of the list. b/c it could totally be a toddler and tiaras, a polygamist baby wife thing, or those gypsy wives that get married at like 15...but their get-ups are way more slutty for their wedding. Omg all these costumes are great!! I think our Mom's may have been in a secret Halloween making club together! Swear I had almost every.single.one of those outfits!Minus the alien. 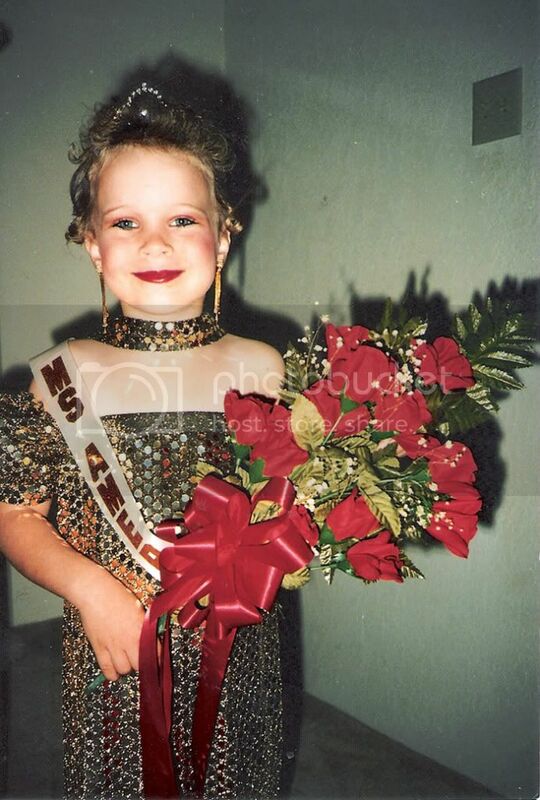 I always went for prissy outfits! Ha! I stumbled across your blog today and its just adorable! The geisha costume is my favorite! oh my gosh, this is great! 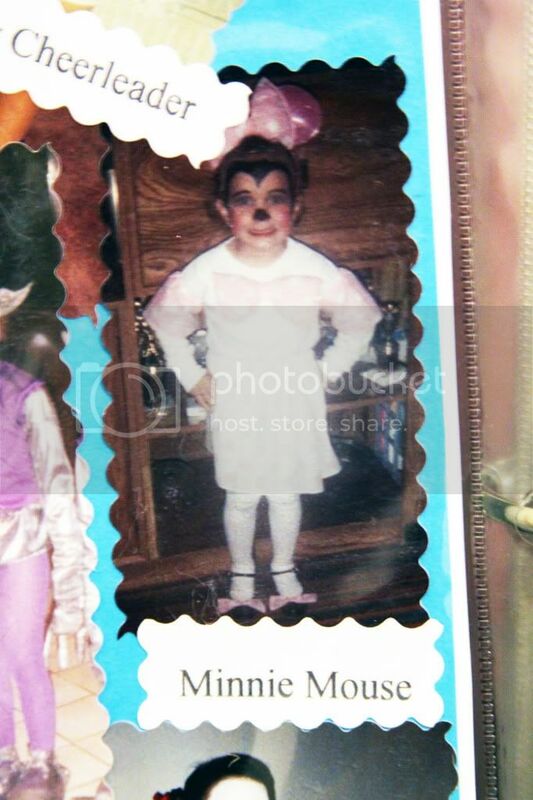 my mom used to make my costumes too! I think homemade ones are the best! You were such a cute kid! hope you and drew drew hot pants had a fun halloween! you are the cutest! i was a bride too! but i esssspecially love the ALIEN ones!!! She is always desire to new creation. She is really do satisfied work. I like his lovely and beautiful scrap. Your mom is probably my new hero. These are all FANTASTIC! You were one cute kid! 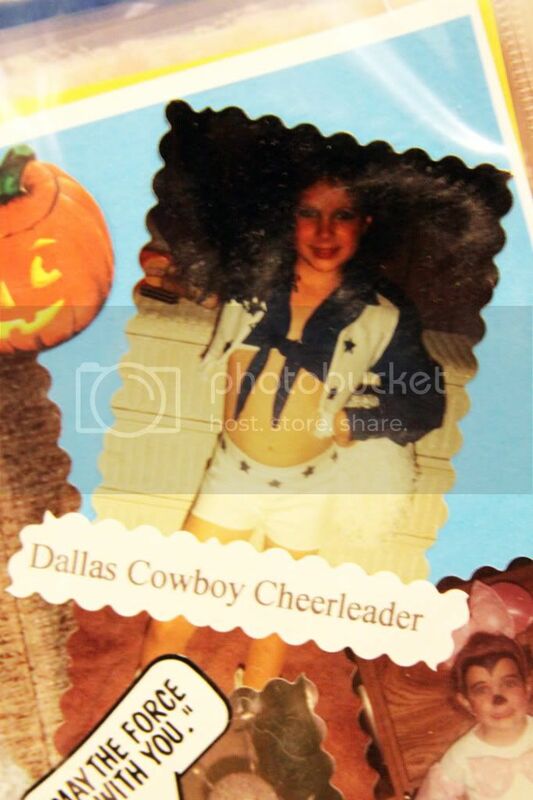 i was once a pumpkin and i kept going around screaming "Im a PUNKIN!" 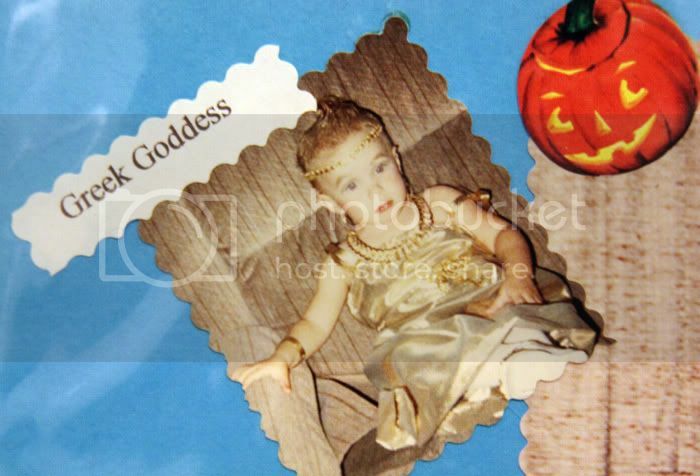 I LOVE the greek goddess costume. These costumes are amazine. i am in love with all of your outfits! one day i hope that i will be able to make my little ones costumes! i am a new fashion blogger from indonesia living in singapore :) i really like your blog. i will really reaaally appreciate & it will be an honor to have u as my blog member. you had one creative mama!! Wow! Your mum's costume making skills are seriously impressive! Wow! That's amazing creation I really like to saw this nice pics.This is do talented work and give a lot of fun and enjoy.